A year or two ago my parents went on an amazing biking trip through Europe, and among a few gifts they brought back, one was a fun floral top for me. The pattern was so fun, but the neckline was a bit too big and I always had a hard time wearing it without all my undergarments hanging out on the sides of the neckline. Since I obviously didn’t want this darling top to just hang in my closet unworn, I’ve come up with a few ways to use this fabric in other ways. This was inspired by this pin and is the first of a few fun projects made with this fabric…stay tuned for a few more in the coming weeks! Step 1. 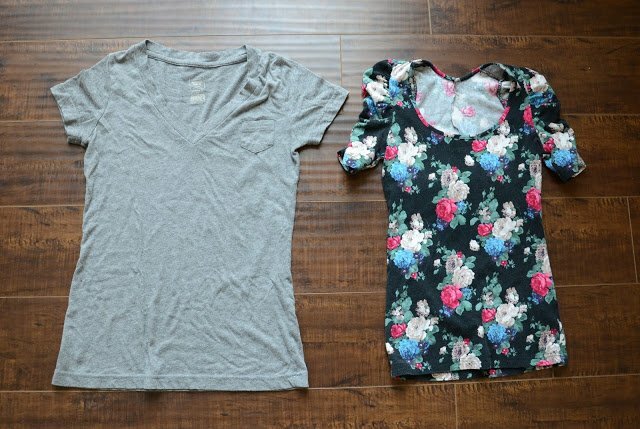 If your t-shirt, already has a pocket, remove it with a seam ripper. If not, measure where you want your pocket to go. Step 2. Cut out your pocket using the original pocket as a guide. If you’re using a t-shirt as your fabric, use the hem of the t-shirt as the top of the pocket, as seen below. 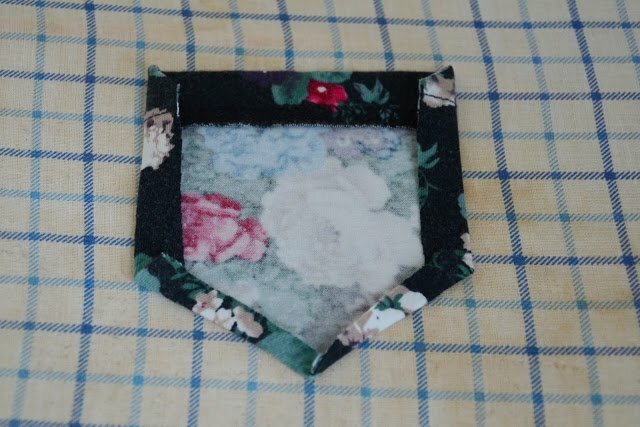 I made mine about 1/2 an inch larger on each side since the original pocket was really small. Step 3. 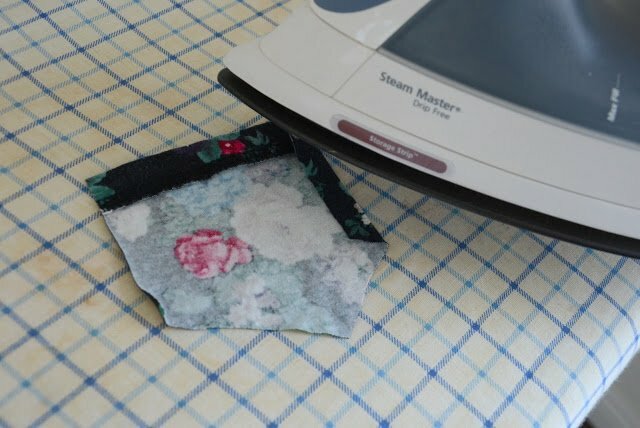 Iron down the sides of the pocket, and then carefully pin it to the shirt. 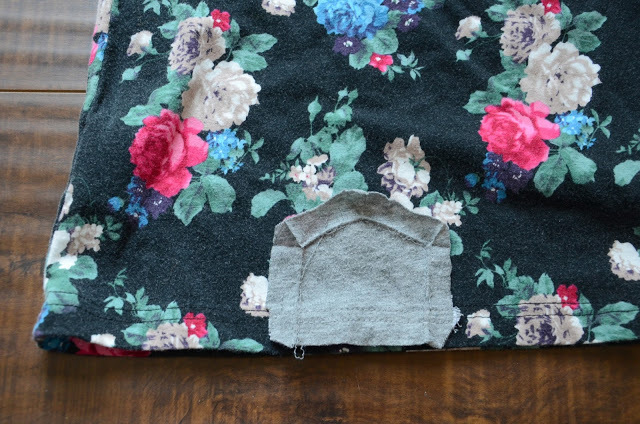 Sew around the sides of the pocket with a straight stitch and then press. Since I live in t-shirts during the summer months, I’m excited to have a few t-shirts that are a little more fun than a standard v-neck. 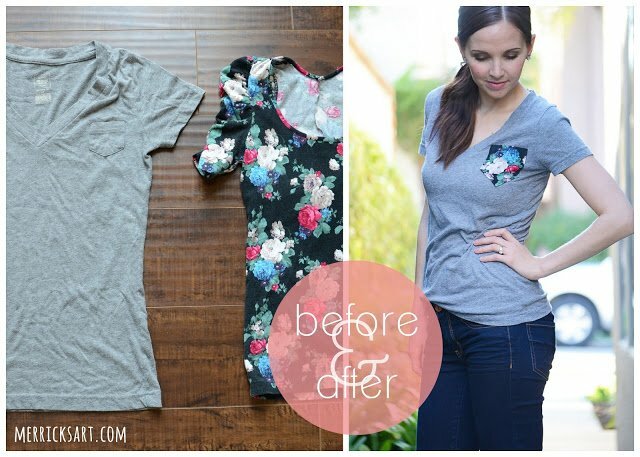 I’m definitely doing this to a few more of my pocket tees! So cute and easy! Love it! So cute! I have several of "those shirts" in my closet. Now they have a purpose! what a great idea!!! this is so cute! So cute Mer! I totally need to do this. love it! definitely doing this! :0) miss you, merrick! OMG love this idea! So cute! Super cute! I want to make one of these!! This is so gosh darn cute! I love how it adds a little something special to a basic tee! How cute!!! 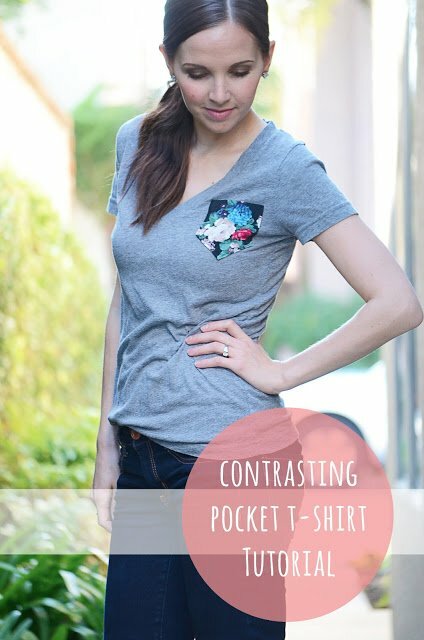 Love the idea of having a contrast pocket. Ohhh my gosh, that is the cutest. 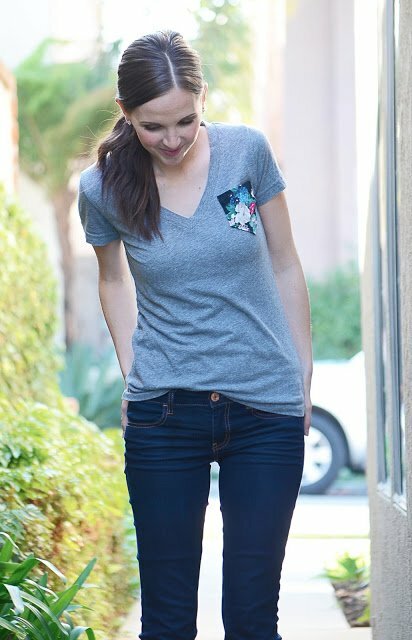 I would wear that tee all the time with the new spunky pocket!! I love how easy this is, but it makes such a difference. I agree that making the pocket just a little bit bigger was a good choice. You look amazing in this simple but cute outfit. Cute! It really dresses up a plain V-neck. I love the pop of color. Super fun! I was wondering if that was a DIY the other night… Adorable.